The first dish I opted for was the Avocado Chilli Toast - toasted granary bread with sliced avocado and chilli. Bursting with flavour and the most amazing combination of textures, the softness of the avocado and the crunchiness of the toast was just divine. The second dish I opted for was the Yoghurt and Spinach dip with seeded spelt crispbread. I detest spinach in most forms but this dip is a heavenly creation and so utterly more-ish that I'm rather glad I didn't have to share as it was just that good! This is a fabulous alternative to 'chips and dip' - but infinitely healthier. When I spotted the 'Choc Norris' sign (what a name by the way - props to the thinker-upper of that one) it was actually sold out (and at this point I hadn't even mentioned anything about being a Blogger or even that I was going to tweet them etc) and I asked if they were really popular and usually sold out and I'd have to come in one morning to try get one - and they offered to make me a fresh one there and then! WHAT amazing service - they really went that extra mile for me and I thoroughly appreciated it, as did my stomach. I got a bit carried away with all of the wonders on offer so also picked up a protein bar (which I've literally just polished off after completing a 45 minute bootcamp) which I thoroughly enjoyed and these vegetable crisps which I have yet to try - I shall report back! 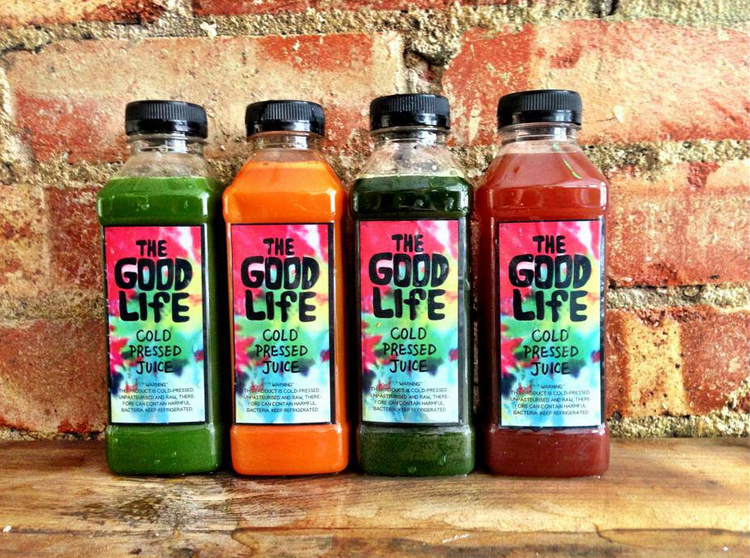 The Good Life Eatery is becoming famous for it's cold pressed juices as they are, by far and away, the healthiest kind of juice drink on the market. Cold pressed juices are made by using a hydrallic juicer (unlike most juices you find, which use heat inducing spinning blades) which completely extracts the natural vegetable and fruit juices unleashing the phytonutrients, vitamins, trace minerals, enzymes, and other vital elements from the organic ingredients. 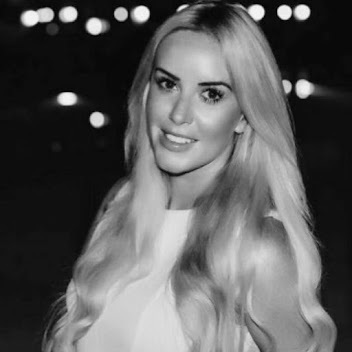 If you don't live near London (or are just a bit lazy) then you can also have a look at Plenish Cleanse which offers a cold pressed juices delivery service. The Good Life Eatery offers a variety of healthier-versions of naughty food - YES THAT IS A GLUTEN FREE RED VELVET CUPCAKE PEOPLE - their treats are mostly raw, vegan, gluten free, dairy free etc etc - you name it and they do it. Well, obviously I couldn't say no to free cake. If you're looking to change your eating but not deprive yourself of anything then this is a fantastic restaurant to visit. You leave feeling satisfied, full and happy that what you've eaten was a) delicious and b) good for you. London really needs to up it's game and have more places like this that show that healthy food can taste good. I am delighted to have discovered The Good Life Eatery and as it's about a five minute walk away from my work I shall undoubtedly be sampling more of the menu. It is absolutely worth a visit, and if you wont my word for it, then take Calgary and Victoria's! 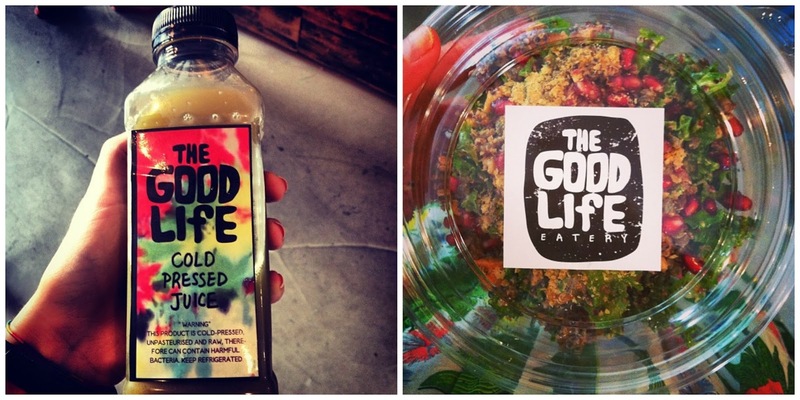 The Good Life Eatery is on 59, Sloane Avenue and is open on weekdays from 7.30am - 8.00pm, Saturday 8.00am-7.30pm and Sunday 9.00am-6.30pm.